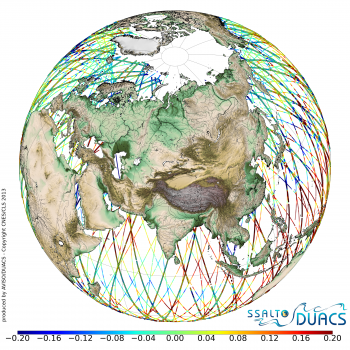 Sea level anomalies measured by AltiKa superimposed with Jason-2, Jason-1 and Cryosat data. Exemple of two days of multisatellite along track SLA around the 2013/06/06. 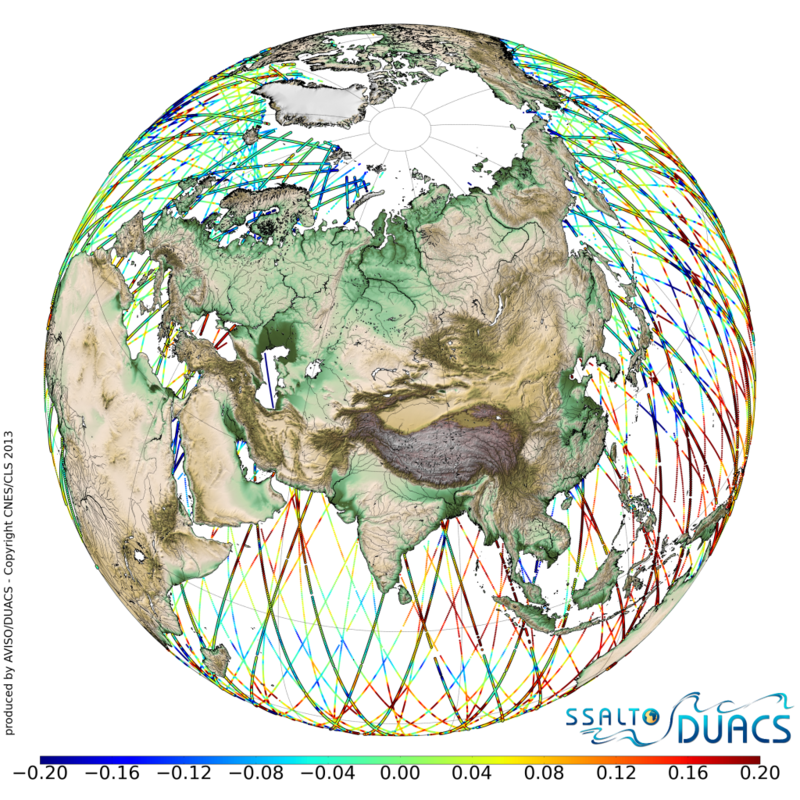 The data have been homogeneized and cross-calibrated through the Ssalto/Duacs system.